Hans Bethe was born in 1906 in Strasbourg, Germany. In 1928, he received his doctorate from the University of Munich, and was later appointed assistant professor at the University of Tübingen. When the Nazis came to power in 1933, he lost his job and emigrated, first to England and then to the United States, where he worked as a professor of nuclear physics at Cornell University. In 1967, Hans Bethe was awarded the Nobel Prize in Physics “for his contributions to the theory of nuclear reactions, and especially his discoveries concerning the energy production in stars”. 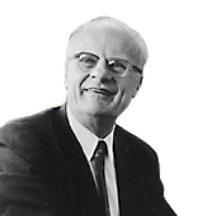 Bethe proposed a solution to a problem that had long troubled many astronomers: How is energy formed in the sun and stars? He suggested that there is a six stage process of nuclear fusion of various atoms in which enormous energy is emitted. The products of this process are contradictory. On the one hand, there is solar light with the pleasant heat that is the source of our life. But on the other hand, we have the means to destroy us all – the hydrogen bomb which is based on the identical principle of fusion. Bethe actually worked on the development of the hydrogen bomb. However, after World War II, he became one of the most enthusiastic supporters of nuclear weapons control and fought against American armament plans. James Franck was born in 1882 in Germany. In 1906, he obtained a doctorate degree in Physics. He served as head of the Institute of Experimental Physics at Goettingen University. Franck, who was not personally harassed by the Nazis, adamantly refused to take measures against Jewish students and colleagues, and was compelled to leave Germany. Franck emigrated to the United States where he engaged in research at Johns Hopkins University and the University of Chicago. 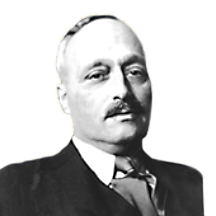 James Franck was awarded the 1925 Nobel Prize in Physics together with Gustav Hertz. The Prize was awarded to them for the “Franck-Hertz” experiment, in which they accelerated electrons in a tube filled with mercury vapor. The results of the experiment were surprising: as they increased the voltage in the system, the electron current increased proportionately, as would be expected, until voltage of 4.9 volts. At that point, the voltage was much decreased. These results corresponded with Niels Bohr’s theoretical calculations. The accelerated electrons transmitted energy in fixed quantities of 4.9V to the mercury electrons, allowing them to elevate to a higher energy level. This phenomenon was described by Bohr in his quantum atom model as “excitation”. James Franck died in 1964.
one of the founders of the quantum theory. 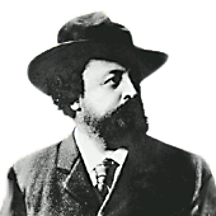 Alfred Fried was born in 1864 in Vienna, but spent most of his life in Berlin. 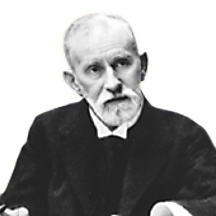 He established pro-peace organizations, and until his death in 1921, wrote many books and essays and published magazines on the topic of peace. For this lifework, Alfred Fried was awarded in 1911 the Nobel Peace Prize. dedicated his life to the idea of peace among nations. Dennis Gabor was born in Hungary in 1900. He received the 1971 Nobel prize in Physics, “for his invention and development of the holographic method,” which is based on the phenomena of light interference. Gabor’s invention preceded its time. Only with the invention of the laser rays did it become applicable in fields such as medicine, communication and computer science. 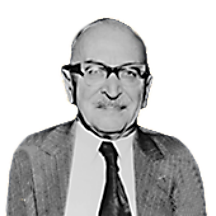 Dennis Gabor passed away in 1979.
invented holography, the three dimensional photographic technic. Fritz Haber was born in Breslau, Poland in 1868. At the age of 25, he began studying organic chemistry, but he was drawn to applied physical chemistry. In 1896, he was named a professor at Karlsruhe and from the year 1911, headed the Kaiser Wilhelm Institute of physical chemistry. 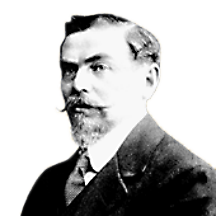 During World War I Haber, helped develop the German chemical industry for war purposes and also played a role in developing gases for chemical warfare. Haber left the Jewish faith and was not harassed by the Nazis when they rose to power. However, in 1933, he was forced to flee to England after refusing to fire his Jewish assistants. He then went to Switzerland where he continued his research. 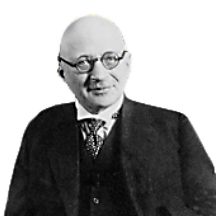 In 1918, Fritz Haber was awarded the Nobel Prize in Chemistry “for the synthesis of ammonia from its elements”. Ammonia is an extremely important raw chemical material. Today, cooling and air-conditioning systems are among its many uses. 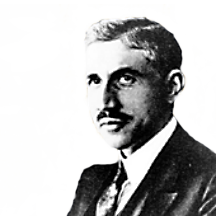 Haber developed a system for producing ammonia, and with the help of Carl Bosch, also found new avenues for its industrial use. Haber’s developments continue to serve industry until this very day. Fritz Haber died in 1934.
developed a simple and efficient method for producing ammonia. 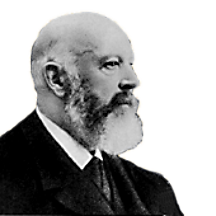 Paul Heyse was born in Berlin in 1830. He received the 1910 Nobel prize in literature, “As a tribute to his consummate artistry, permeated with idealism, which he has demonstrated during his long productive career as a lyric poet, dramatist, novelist and writer of world-renowned short stories”. Paul Heyse passed away in 1914. The first German author to receive the Nobel Prize for literature. Otto Wallach was born in 1847 in Koenigsberg, Germany. He studied chemistry at the University of Goettingen. In 1870 he moved to Bonn, where he was appointed Professor of Chemistry in 1876. 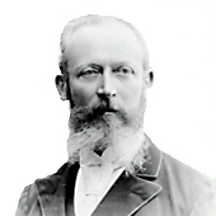 In 1889 he returned to the University of Goettingen and served as professor and director of the Chemistry Institute until he retired in 1915. Wallach continued his research until the age of 80. Wallach’s main contribution was in laying the groundwork for the identification of the terpenes – a group of natural and synthetic hydrocarbons – and in determining the characteristics of camphor. camphor is a natural substance with a sharp aromatic smell, used in medicine for its sterilizing and anesthetic capabilities, and in the cosmetics industry for its pleasant aroma. 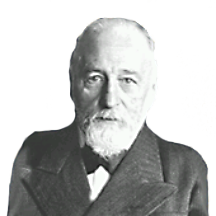 Otto Wallach passed away in 1931. Richard Willstaetter was born in Karlsruhe, Germany, in 1872. He studied chemistry and in 1902 became a professor at the University of Munich. In 1905 he moved to the Zurich Technicum and in 1915 he was appointed director of the Imperial Institute of Chemistry in Berlin. He returned to the University of Munich in 1916, replacing his late teacher, Adolf von Baeyer. In 1925 Willstaetter resigned his teaching position in protest over anti-Semitism in the teaching faculty. With the rise of Nazism his property was confiscated, but he was allowed to move in 1939 to Switzerland, where he lived until his death in 1942. His chief contribution was in the acknowledgment of the biological significance of natural substances. He decoded the structure of various alkaloids, particularly those of the tropine group. His greatest achievement was the decoding of the complex structure of chlorophyll and the process of photosynthesis. Willstaetter was a pioneer in enzyme research, which he viewed as the key to understanding the complex processes of life. 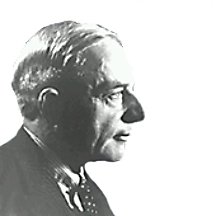 Richard Willstaetter advocated liberalism and humanism and he saw in their realization the moral value of science, which, in his view, was designed to right the wrongs of human society. one of the giants of twentieth century's organic chemistry and biochemistry.